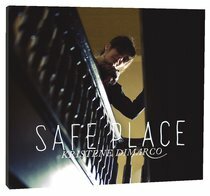 Featured worship leader at the popular Jesus Culture conferences, Kristene DiMarco (nee Mueller) offers this twelve song set of original works, entitled Safe Place. Kristene's style ranges from sunny folk-pop to lush modern worship, piano-led praise to reflective adult contemporary. Includes "Paint Me A Picture," "Limitless," "A Lonely Carpenter," and others.